Katherine Toran (email: katherine.toran@uky.edu) is currently working on her Ph.D. in Economics at the University of Kentucky. She obtained her undergraduate degree from Grinnell College and her Masters in Economics at Duke University. She previously worked for the Urban Institute, a think-tank in Washington, D.C., where she co-authored eleven research reports. Depending on which method is used to calculate inflation, Mr. Darcy’s £10,000 in modern times varies dramatically: from approximately $990,000 to $16,000,000. Although in modern times there is one standard accepted measure of inflation, the problem becomes more complex when attempting to capture inflation as far back in the past as the nineteenth century. If an economist wants to translate from 1995 dollars to 2015 dollars, the process is as simple as going to the U.S. Bureau of Labor Statistics and typing the dollar amount into their inflation calculator. However, the inflation calculator only goes back as far as 1913, a full century after Jane Austen’s books. Why does the Bureau of Labor Statistics not provide a measure for inflation in earlier years? To understand this, we must understand how inflation is calculated. The Bureau of Labor Statistics first creates a consumer price index (CPI) based on the prices of a bundle of goods and services across eight categories: food and beverages, housing, apparel, transportation, medical care, recreation, education and communication, and other goods and services. The market basket is determined from detailed expenditure information from the Consumer Expenditure Surveys on typical day-to-day spending patterns in the U.S. Next, the Bureau of Labor Statistics calculates what this typical “basket” would cost by calling thousands of retail stores, service establishments, rental units, and doctors’ offices to obtain prices. By comparing the cost of a “market basket” in one year to a “market basket” in another year, the consumer price index is created, measuring the percentage change in living expenses from one year to the next. Even the current consumer price index is a controversial measure of inflation. Economists disagree on what should be included in the “bundle of goods” and whether consumers should be allowed to substitute different goods over time. Also, inflation is not immediately reflected by changing prices, and therefore the CPI may lag behind true inflation. Furthermore, the CPI only looks at urban spending patterns, not rural. Finally, different people may experience inflation differently, which is the reason the Bureau of Labor Statistics calculates a separate CPI for the elderly. But if the consumer price index is controversial in modern times, it becomes impossible to use in the nineteenth century. People lived very different lives two hundred years ago. Instead of purchasing food at a local store, they often raised chickens or maintained gardens. Instead of buying their clothes, they made them by hand. For what they did buy, price data is often unavailable as detailed records of transactions were not well kept. Most important, the large-scale shift in Britain from a rural, non-currency-based economy at the beginning of the nineteenth century to an increasingly urban, currency-based economy cannot easily be captured solely through changes in prices. How then can we measure the value of a pound in the early 1800s? There are several possible methods, reflected in the table below. All numbers are inflation-adjusted from 1810; roughly around the time of publication for many of Austen’s novels. Data on prices, earnings, and GDP were obtained from the nonprofit group MeasuringWorth, which collects historical data on important economic aggregates. Translation from pounds to dollars used the first quarter of 2015 exchange rate, the most recent available on Google Finance. Finally, my methodology was to translate from 1810 pounds to modern pounds and then modern dollars. If translations were made from 1810 pounds to 1810 dollars and then to modern dollars, the numbers would be different, but using British measures of inflation better reflects changes in the British economy. All results are in current dollars, $2015. Others have attempted to calculate the wealth of Austen’s characters before, including a previous Persuasions article by James Heldman in 1989. However, these calculations used the U.S. Consumer Price Index. Comparatively, the estimates in my paper use harder-to-find data on changes in British prices, earnings, and GDP, in order to better capture British inflation. Many characters are excluded from the table because their income was never explicitly given in the books. Of those available, the wealthiest character is Mr. Rushworth, whereas Mrs. Bates and her daughter are the poorest. The variability in estimations demonstrates how difficult it is to capture inflation going back this far into the past. Depending on the method of calculation, Mr. Darcy’s £10,000 a year varies from $986,276 to $12,862,256 to $16,436,891. Which of these three methods is the most accurate? That depends on what we want to calculate. The first method uses the percentage increase in the U.K. retail price index to adjust to modern pounds. This method is the closest to the modern technique of calculating inflation, the Consumer Price Index, in that it uses a representative sample of retail goods and services, but it is less comprehensive than the CPI. The retail price index captures how purchasing power changed from 1810 to 2015, giving Mr. Darcy an annual income of $986,276 in terms of what he could buy in modern times. This calculation would place him today in the 99.42 percentile. This method may be the most reliable in capturing changes in prices, which is what we truly think of as inflation. The second method uses percent changes in U.K. average earnings, capturing how affordable items in 1810 would be relative to 2015. This method gives Mr. Darcy an annual income of $12,862,256. The salaries of servants and the other costs of maintaining an estate were smaller in the early nineteenth century; hence, using average earnings better shows how far Mr. Darcy’s money would have gone in 1810. This method may be the most reliable in capturing the fortunes of the wealthier Austen characters, who would be able to take advantage of the economies of scale in owning an estate. It is less reliable in capturing the economic conditions of those poorer. For example, Mrs. and Miss Bates have only £100 a year and no estate, and they do not have the purchasing power advantages of the wealthy in their time period, thus making the first method the most reliable inflation calculation for them. The third method uses percent changes in U.K. GDP per capita to capture Mr. Darcy’s status compared to what others earned in his time period. This inflation measure attempts to capture the gap between the rich and the poor that existed in 1810 versus today. It is a measure of prestige rather than purchasing power. Using this method, Mr. Darcy’s annual earnings are $16,436,891, placing him in the 99.99 income percentile today. But income tells only part of the story. Consider that most of Mr. Darcy’s fortune is in his home, property, and investments: £10,000 is merely a year’s disposable income. Further, that £10,000 is only a rumor, not a stated fact. Inadequate information exists to capture the value of Mr. Darcy’s estate, Pemberley. However, we can attempt to estimate his financial holdings. When Jane Austen said that a character had a certain number of pounds per year, she implied that they invested their fortune and received that amount yearly in return. Landed gentry in nineteenth-century Britain did not need to work because they could live off their investments. A typical government fund paid 5% a year, or only 4% in the case of a small investment (Copeland, “Money” 134).2 Thus, Mr. Darcy’s £10,000 a year implies £200,000 invested. As shown in the table below, this amount ranges in value depending on the method of calculation from $19,725,520 to $328,737,820. Note: The wealth of Jane Austen’s characters in this table is taken from Runcie and Campbell, who are indebted to Heldman, and who also examine the effects of inflation on Austen’s numbers. Further estimates of the wealth of various Austen characters can be found in Francus. This table could be used to calculate any monetary number from Austen’s works as a fraction of the wealth above. Many characters are excluded from the table because their precise income is never mentioned. *This estimate is based on standard rate of return on nineteenth-century investments that would generate £10,000 a year. This number does not include the value of his estate and other property. Although in terms of purchasing power he was a millionaire, in terms of the prestige Mr. Darcy held in British society he would have been a billionaire. Historians estimate that the average holding of wealth of the top 1% of households in Jane Austen’s day was £100,000, and thus Mr. Darcy, with a fortune of £200,000, was at the 99.75 percentile of British society; only perhaps 5,000 households were richer (DeLong 37). Of these 5,000 households, only approximately 500 might hold noble titles. In 1818, there were 28 dukedoms, 32 marquisates, 210 earldoms, 66 viscounts, and 172 barons in Great Britain (Millar). Thus it was possible to be extremely wealthy and still not possess a noble title; in addition, the nobility were not necessarily the wealthiest people in Britain. Based on Mr. Darcy’s annual income, other estimates have placed him in the top 400 families in England (Heldman 39), or the top 0.1%, what news articles refer to as the “super-rich.” Mrs. Bennet’s near-hysteria upon news of her daughter’s marriage becomes understandable: Elizabeth Darcy will be a very wealthy woman. For Mr. Bennet, who had £2,000 a year, the retail price index method gives him an annual income of approximately $200,000, while GDP per capita gives him an annual income of approximately $3,000,000. The former is a better method here, considering the size of Mr. Bennet’s fortune. Given the Bennets’ money worries, even this lower estimate may seem high. Colonel Brandon’s annual income in Sense and Sensibility is also £2,000, and he is considered a fine catch. In Jane Austen’s time, about £1,000 a year was enough for a family to afford “three female servants, a coachman and footman, a chariot or coach, phaeton or other four-wheeled carriage, and a pair of horses” (Nottingham). The cause of the Bennets’ financial difficulties is lack of a male heir. They will lose their income when Mr. Bennet dies, and in addition, Mr. Bennet lacks savings: “Mr. Bennet had very often wished, before this period of his life, that, instead of spending his whole income, he had laid by an annual sum, for the better provision of his children, and of his wife, if she survived him” (308). The Bennets are not poor: poor money management has left the daughters without dowries. Jane Austen’s works also reflect attitudes towards money in early nineteenth-century British society. When Jane Austen was born in 1775, the Industrial Revolution had just begun. The English gentry still regarded capitalism, in particular the pursuit of wealth through trade rather than inheritance, with aristocratic snobbery. However, money (or lack of it) is a central concern for Jane Austen’s heroines, who are dependent on marriage for financial security. Adam Smith, originator of the free market and known as the father of modern economics, wrote about the ethics of money in his book The Theory of Moral Sentiments, published in 1759 and extremely popular among Jane Austen’s contemporaries. Smith wrote about how the pursuit of money could deform moral character and suggested that wealth and virtue might be mutually exclusive. Smith was torn between his belief that money promoted human progress and his personal conviction that it did not make people happy. This ambivalent attitude towards money was common in Austen’s society. Elsie B. Michie contends that Austen often associates the rich with the same negative attitudes that are criticized in Adam Smith’s The Theory of Moral Sentiments: the equating of wealth and virtue, scorn for poorer people, and selfishness (26). However, Austen characters who claim to have no interest in money are usually lying: Isabella Thorpe in Northanger Abbey tells Catherine Morland about her disdain for money prior to discarding James Morland for the wealthier Frederick Tilney. In Sense and Sensibility, when Marianne and Elinor discuss money, Marianne claims love is more important, but it soon becomes evident that her minimum standard for living is much higher than her more practical sister’s. 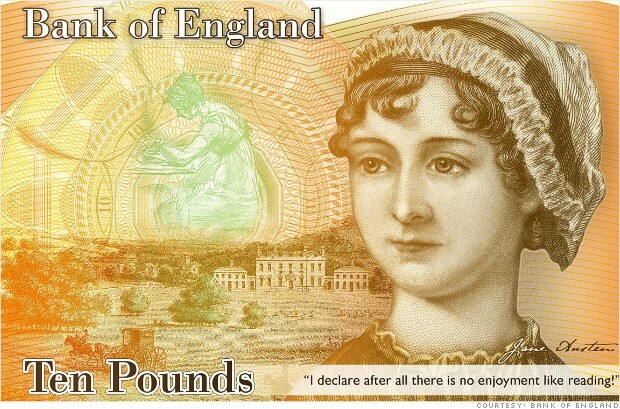 Even though Austen herself was portrayed by her family members as a humble soul who wrote only for the joy of writing and was shocked to receive any money for her novels, she complained in a letter to a friend about receiving only £110 for the copyright of Pride and Prejudice (29-30 November 1812). In another letter, referring to her desire for greater financial success for her books, she wrote, “tho’ I like praise as well as anybody, I like what Edward calls Pewter too” (30 November 1814). In her fiction Austen exhibits a keen awareness of money and its power over women’s lives, even as she seeks not to give it a power that overrules love or virtue. Although Jane Austen writes about the landed gentry, she was not one of them. The Austens fell into a group Edward Copeland describes as the “pseudo-gentry”: socially holding kinship to the landed gentry while dependent on earned income from a male breadwinner (“Money” 128).3 This group was also less insulated from economic turmoil. During Jane Austen’s own lifetime, the British economy experienced a series of economic crises. An oversized national debt, four waves of recession, two banking crises, the debasement of coins, a major economic crash, and a depression led, in combination, to a doubling of consumer prices, i.e., extreme inflation. In 1795, as Sheryl Craig has shown, the first financial crisis of Jane Austen’s lifetime occurred in the form of a massive crop failure brought on by a long drought and a harsh winter (“Wealth” 13). The price of bread, meat, milk, and cheese doubled, leading to food riots across England. Contemporary economists estimated that the poor in England reached eight million out of a total population of nine million, almost 90 percent of the population (Himmelfarb 77). It is difficult to imagine such large scale poverty today; for comparison’s sake, during the Great Depression, poverty in the United States reached approximately 50 percent (Katz and Stern 13). In addition, politics stalled any government aid. The Whigs and some Tories opposed Prime Minister Pitt’s Poor Law reform bill, claiming it “rewarded the idle and negligent” (qtd. in Himmelfarb 75), while privately believing they could just wait for Adam Smith’s invisible hand of the marketplace to right the economy (Craig, “Pride” 66). In Sense and Sensibility, John Dashwood’s self-justified lack of interest in helping his family resembles the inertia of Parliament (Craig, “Wealth” 21). Additionally, at least some of the Dashwoods’ fiscal problems are likely driven by the extreme loss of purchasing power due to inflation, a situation that Jane Austen did not need to explain to her contemporary readers. Jane Austen began writing First Impressions, the first draft of Pride and Prejudice, in the autumn of 1796. By this point, as Craig has indicated, Prime Minister Pitt had realized the futility of his Poor Law reform and attempted to focus on the national minimum wage. Reflecting prevalent views of economists at the time that the poor were responsible for their own poverty, opposing politicians claimed that “laborers and their families could be maintained on their low wages, if they gave up eating wheat bread and adopted a more Spartan diet” (Craig, “Pride” 68). This solution was unrealistic given contemporary food scarcity, but still Parliament failed to pass the minimum wage or any other form of economic relief. Pride and Prejudice subtly reflects these politics. Craig points out that Mr. Darcy is praised for his generosity to the poor in his home county Derbyshire, whereas Lady Catherine visits the poor solely to offer unsolicited advice and criticize them for being inadequately frugal, leaving them no better off for her visits (69). To a modern reader, it might seem to go without saying that generosity to the poor is a noble quality, but in the environment of nineteenth century England, not everyone would agree, and thus Jane Austen was making a political statement when she upheld Mr. Darcy as a positive example. As is well known, Jane Austen was ill-paid for her books, receiving only £684 from publishing four books in her lifetime (Honan 393). Under the retail price index measure of inflation, this amount translates to lifetime earnings of $67,456. The retail price index is the best measure to use here, since the Austens were not wealthy enough to take advantage of the economies of scale captured in other measures of inflation. After Jane Austen’s death, through 1832, her six novels earned a total of about £1,625 or $160,258. The price of £110 paid by Egerton for Pride and Prejudice translates into $10,848; after the book’s success, Austen was to regret selling the copyright for that amount. Jan Fergus calculates that Egerton subsequently made more than £450, or $44,379, from the book (9). Given the millions of dollars in sales of TV shows, movies, and books based on Pride and Prejudice since then, from a modern perspective, perhaps Jane Austen was cheated. However, the continued popularity of Jane Austen spin-offs stands as a tribute to her genius. 1. All dollar amounts in this essay refer to U.S. dollars. 2. When he proposes to Elizabeth, Mr. Collins details that her tiny fortune of £1,000 can only be invested at the lower rate of 4%, for a measly £40 pounds a year. Austen, Jane. Jane Austen’s Letters. Ed. Deirdre Le Faye. 4th ed. Oxford: OUP, 2011. _____. The Novels of Jane Austen. Ed. R.W. Chapman. 3rd ed. 5 vols. Oxford: OUP, 1933-1969. Austen-Leigh, William, and Richard Arthur Austen-Leigh. Jane Austen: A Family Record. Rev. Deirdre Le Faye. Boston: Hall, 1989. Copeland, Edward. “The Economic Realities of Jane Austen’s Day.” Approaches to Teaching Austen’s Pride and Prejudice. New York: Modern Language Association, 1993. 33-45. _____. “Money.” The Cambridge Companion to Jane Austen. Ed. Edward Copeland and Juliet McMaster. New York: CUP, 1997. 131-48. _____. “Persuasion: The Jane Austen Consumer’s Guide.” Persuasions 15 (1993): 111-23. _____. “The Austens and the Elliots: A Consumer's Guide to Persuasion.” Jane Austen’s Business. Ed. Juliet McMaster and Bruce Stovel. New York: St. Martin’s, 1996. 137-53. Craig, Sheryl Bonar. “Pride and Prejudice and Poor Laws.” Persuasions 35 (2013): 64-74. _____. “‘Wealth has much to do with it’: The Economics of Sense and Sensibility.” Persuasions 33 (2011): 13-28. DeLong, J. Bradford “A History of Bequeaths in the United States.” Death and Dollars: The Role of Gifts and Bequests in America. Ed. Alicia Haydock Munnell and Annika E. Sunden. Washington, DC: Brookings Institution P, 2003. 32-53. Fergus, Jan. “Biography.” Jane Austen in Context. Ed. Janet Todd. Cambridge: CUP, 2005. 3-11. Francus, Marilyn. “Jane Austen, Pound for Pound.” Persuasions On-Line 33.1 (2012). Google Finance. 2015. Web. 18 June 2015. https://www.google.com/finance. Halperin, John. The Life of Jane Austen. Baltimore: Johns Hopkins UP, 1984. Heldman, James. “How Wealthy is Mr. Darcy—Really? Pounds and Dollars in the World of Pride and Prejudice.” Persuasions 12 (1989): 38-49. Himmelfarb, Gertrude. The Idea of Poverty: England in the Early Industrial Age. New York: Vintage, 1985. “Income Worth Percentile Rank Calculator.” Shnugi Personal Finance. 14 Sept. 2014. Web. 30 June 2015. http://www.shnugi.com/income-percentile-calculator. Katz, Michael B., and Mark J. Stern. “Poverty in Twentieth-Century America.” America at the Millennium Project. 2001. Web. 15 Oct. 2015. http://class.povertylectures.com/Povertyinthe21stCentury.pdf. Michie, Elsie B. The Vulgar Question of Money: Heiresses, Materialism, and the Novel of Manners from Jane Austen to Henry James. Baltimore: John Hopkins UP, 2011. Millar, Stephen. “The British Peerage in 1818.” The Napoleon Series. 2006. Web. 16 June 2015. http://www.napoleon-series.org/research/miscellaneous/Britishpeerage/c_britishpeerage.html. Nottingham, Ivan. “Earnings, Money and Wealth in Jane Austen’s Time.” Jane Austen—Her Life and Works. 11 May 2014. Web. 18 June 2015. http://janeausten-herlifeandworks.blogspot.com/2011/05/earnings-money-and-wealth-in-jane.html. Runcie, Charlotte, and Scott Campbell. “Could Mr. Darcy Afford a Stately Home Today?” The Telegraph 29 Aug. 2014. Web. 19 Oct. 2014. http://www.telegraph.co.uk/culture/books/11063670/Could-Mr-Darcy-afford-a-stately-home-today.html. “UK Inflation Calculator.” What’s The Cost? Adam Stevens, 2015. Web. 18 June 2015. http://www.whatsthecost.com/cpi.aspx. Williamson, Samuel H., and Lawrence Officer. MeasuringWorth. 2006. Web. 18 June 2015. http://www.measuringworth.com/.